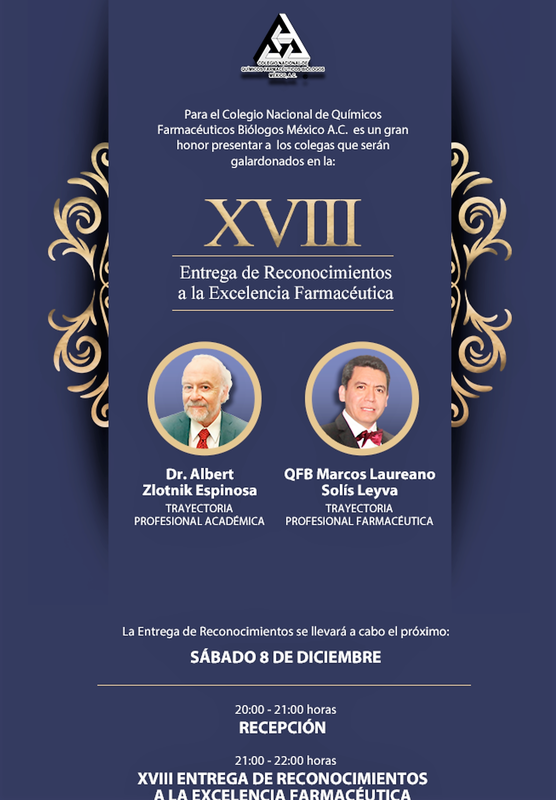 DEC 08 Albert Zlotnik, Chancellor's Professor of Physiology & Biophysics, receives the 2018 Award for Academic Excellence from the National College of Chemists Pharmacists and Biologists of Mexico. NOV 28 Stephen White, professor emeritus of physiology & biophysics, is named a fellow of the American Association for the Advancement of Science. OCT 10 UCI researcher Geoffrey Abbot discovers molecular mechanisms of ancient herbal remedies. OCT 02 UCI neuroscientist Medha Pathak, PhD, receives NIH Director's New Innovator Award for research on the mechanics of human neural development. SEP 10 Physiology & Biophysics welcomes Philip Kiser, PhD, as assistant professor. JUL 01 Physiology & Biophysics congratulates Hamid Said for his distinguished professor distinction! JUL 01 Physiology & Biophysics congratulates Qin Yang for his promotion to associate professor (tenured)! JUL 01 Physiology & Biophysics welcomes Kevin Beier, PhD, as assistant professor. JUN 01 Phil Felgner, PhD, joins the Department of Physiology & Biophysics. JUN 01 Amanda Burkhardt, PhD, joins the Department of Physiology & Biophysics. MAY The Department congratulate PhD student Katrina Evans, the recipient of the 2018 School of Medicine Stanley Behrens Fellows in Medicine award. She is advised by Professor Devon Lawson. MAY The Department congratulates PhD student Jenna Kastenschmidt, the recipient of the 2018 School of Medicine Stanley Behrens Fellows in Medicine award. She is advised by Professor Armando Villalta. MAY 21 Ancient sequence motif leads Geoffrey Abbott, PhD, UCI professor of Physiology and Biophysics, to discover novel mode of neurotransmitter-based communication. MAY 11 Rongsheng Jin, PhD, UCI professor of Physiology and Biophysics, helps identify how the Clostridium difficile toxin causes deadly gastrointestinal infections. MAY 02 Todd C. Holmes, PhD, Professor of Physiology and Biophysics, receives $2.1-million NIH grant, UCI's first ever Maximizing Investigators’ Research Award (MIRA). APR 10 Special announcement: PhD candidate Karissa Munoz receives 2018 National Science Foundation Graduate Research Fellowship Program Award. NOV 15 The Lawson lab is awarded pilot funds from the Chan-Zuckerberg Initiative to build a cell atlas of human breast tissue. Collaborators include the Kessenbrock lab at UC Irvine. SEP 25 The Department welcomes CMB transfer PhD student Albert Ta who has joined the Ping Wang lab and INP transfer student Jesse Holt who has joined the Pathak lab. SEP 25 The Department welcomes CMB transfer PhD students Andrew Wheat who has joined the Lan Huang lab and Karissa Munoz who has joined the Villalta lab. AUG 02 Medha Pathak, PhD, and Ian Parker, PhD, receive pilot funding of $50,000 from the School of Medicine & Ayala School of Biological Sciences. Great work! JULY 01 The Department welcomes Geoffrey Abbott, PhD, and his lab members to Irvine Hall! JUN 19 Physiology & Biophysics PhD dtudent Ceazar Nave explains how insect research at UC Irvine may lead to a cure for "social jet lag” from staying up late and sleeping in. JUN 17-18 Galina Schmunk from the Gargus lab served as the Gordon Research Seminar on Calcium Signaling organizer chair! The aim of this Gordon Research Seminar is to bring together students, postdocs and junior investigators in the field of calcium signaling to share cutting-edge research and to create opportunities for future collaborations. Great job Galina! APR 18 Autism research news from the Center for Autism Research and Translation: "Mighty element plays major part in autism." APR The Department welcomes CMB transfer PhD student Chang Zhao who has joined the Tombola lab and MCSB PhD student Kerrigan Blake who has joined the Lawson lab. FEB 23 Armando Villalta, PhD, receives an Institute of Clinical & Translational Science 2017 Pilot Grant Award for work on regulatory T-cell responses in muscle degenerative disorders. FEB Researchers Francesco Tombola and Medha Pathak are recognized by the Society of General Physiologists with the Cranefield Award who in the preceding calendar year published an outstanding article in the Journal. Pathak, M.M., Tran, T., Hong, L., Joós, B., Morris, C.E., Tombola, F. (2016) The Hv1 proton channel responds to mechanical stimuli. J. Gen. Physiol. 148(5): 405-418. SEPT The Department welcomes new international PhD students Hugo Lin and Laura Mendez. AUG 01 The Department welcomes CMB transfer Ph.D. student Athena Papasodero! JULY 01 The Department welcomes CMB transfer Ph.D. students Ryan Davis, Katrina Evans, Jenna Kastenschmidt, and Ceazar Nave! JUNE 27 The Department of Physiology & Biophysics welcomes Milton Greenberg, Ph.D. to Assistant Adjunct Professor/Course Director. JUN 13 A study co-led by UC Irvine’s Rongsheng Jin, professor of physiology & biophysics, reveals Botox’s sweet tooth underlies its key neuron-targeting mechanism. JUN 07 Qin Yang, MD and PhD, is chosen as a Research Associates Award Recipient. JUN 01 The Department of Physiology & Biophysics welcomes Medha Pathak, Ph.D. to Assistant Professor. JUNE The Department Congratulates Professor Kenneth Longmuir's Excellence in Teaching- Basic Science Award! MAY 21-25 Lisa Baik receives merit award for "CRYPTOCHROME is a Direct Neuronal Ultraviolet Light Sensor" presentation at Society for Research on Biological Rhythms' 2016 conference. MAY 13 Gabriel Vargas, MD and PhD, selected as one of UC Irvine Graduate Division's top 50 graduate and postdoctoral scholar alumni honorees. FEB 24-26 Lisa Baik awarded “Best Poster” at the Center for Circadian Biology Symposium: From Cells to Clinic, 2016. NOV 18 Lisa Soyeon Baik has been selected as the 2015-2016 ARCS Scholar. OCT 16 The Department of Physiology & Biophysics welcomes new faculty members for the 2015-2016 year. JUN 02 Chemistry Nobel laureate Dr. Irwin Rose passed away June 2, 2015.